This year’s Black History Month honoree is a familiar face to hundreds of Benson natives. Whether he taught them in Social Studies, coached them on the field or on the court — Nathan Alford was an inspiration to many during his time in the local education system. Skimming his nomination form — thoroughly put together by retired Benson Elementary School teacher Beth Rogers — a few aspects of Mr. Alford’s personality stand out. Reading and listening to Mr. Alford stories, one quickly begins to piece together the type of teacher he was — a serious educator that “meant business” both on and off the field, but never afraid to laugh with students and engage them in thought. 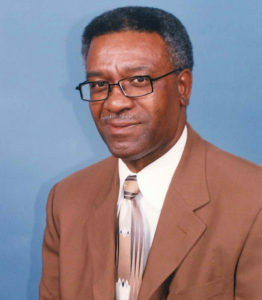 Mr. Alford is a dedicated member of the New Disciples of Christ Church in Fayetteville. He is a key component to successful fundraisers there, as he has been for churches in Benson throughout the years. 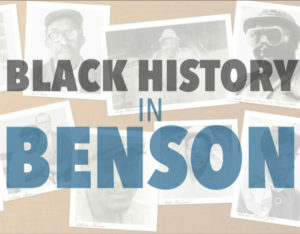 The Benson Museum of Local History’s Eighth Annual Black History Month Celebration will be held Sunday, February 24, 2019 from 2pm to 4pm. Guests are encouraged to bring historical items — and lots of stories — to share. Benson’s museum is located at 102 W. Main Street. For more information about the event call Terry Hobgood at 919-894-3553 or email thobgood@townofbenson.com.